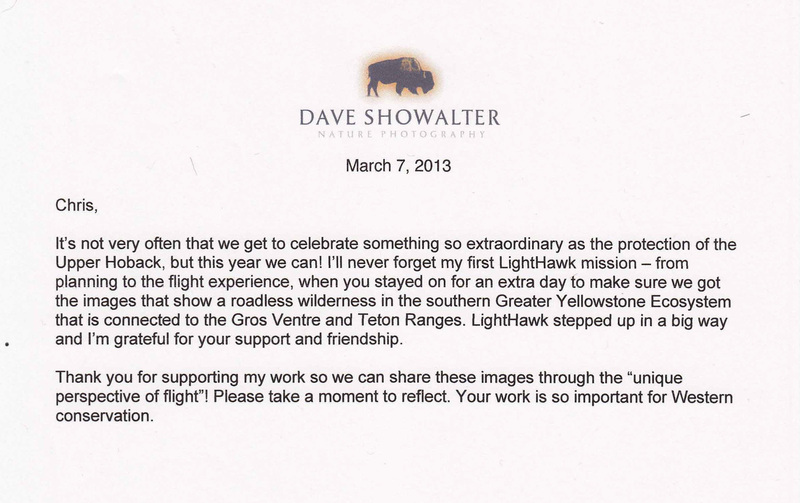 Received this very nice, suitable-for-framing note of gratitude from ILCP Conservation Photographer Dave Showalter the other day. Nice to play a supporting role in Lighthawk's efforts to increase the capacity of dedicated individuals working to save large landscapes from short-sighted and destructive development. It is nice to celebrate a victory. Thank you Dave!